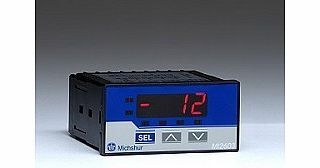 Digital 4-digit temperature controller with ON-OFF control. Dimensions: 48 # 96 mm, panel installation. Dry touch port + up to 3 alarms.